Each problem need special attention from different departments in your organization. With Mi4biz you are free to design all the necessary steps to solve any type of problem, consistently, for the happiness of your customers. While designing a workflow you can connect all the components of your business, either they are departments, applications or outsourced services. With Mi4biz you can design and monitor the tasks you process internally and those you delegate to external companies. 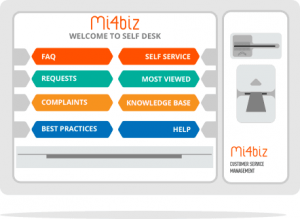 Mi4biz is based on workflows containing the necessary steps (serial or parallel) to complete a service request or resolve a complaint. An user friendly interface will assist you to create or modify the business rules at any time, without developing new software. We believe that designing workflows is the key to achieve customer loyalty and efficiency, because your service should be consistent and it should avoid to “reinvent the wheel” every minute.Mi4biz can associate one or more workflows according to many parameters, like problem category, customer segment or duration of the issue. In any step the system offer the possibility to notify the appropriate person or group. 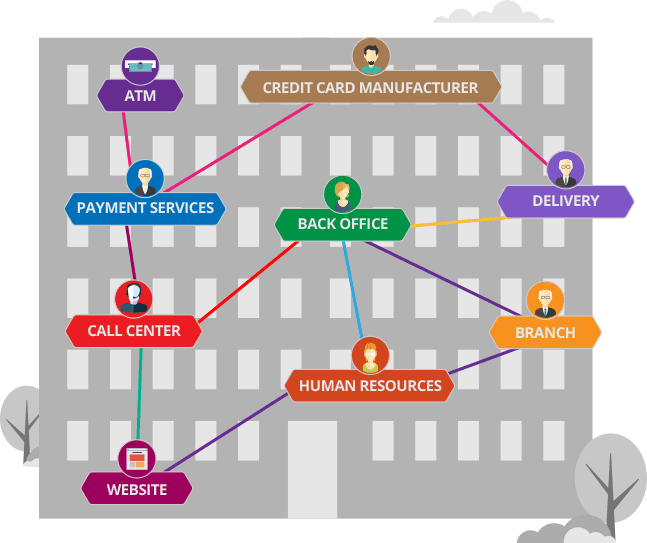 Workflows can be dynamic according to the attributes of the customer or the issue. For example, redirect the issues to the service which is closest to the customer’s location, use VIP workflows if the customer segment is A+, depending on the financial amount of issue subject select different approval steps. You are free to identify and define these type of dynamic workflow rules. Customization is very easy in Mi4biz: with a few clicks you can define special pages for every type of request. This flexibility lets you collect all the information that your agent needs in order to manage issues faster and more efficiently. Our strategy is to keep the agents focused on the mission to provide the best support in the shortest time. For this purpose Mi4biz keeps the relevant information in front of the user’s eyes and hide all the useless data that can mislead the user behavior. In the administrator tool those dynamic configurations are pretty easy and do not require to modify any software because those operation are mouse oriented and with a basic training anyone can do it. The old days of big pages full of fields in a messy layout are over, take Mi4biz word for it ! During the normal Customer Service operations a big quantity of data can be generated, validated or synchronized with external applications. In Mi4biz we are leveraging your past investments interconnecting our service to thousands of other applications in order to provide an efficient working environment for your employees. Call center users are super-trained in the art of ”ALT-TAB”, i.e. 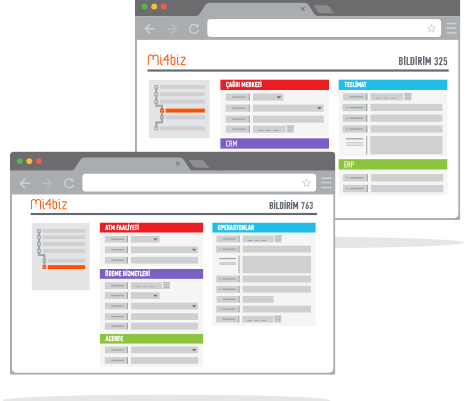 searching information about customers, contracts, spare parts and billing information in many applications.The conventional definition of software application has changed: Mi4biz capitalize the contribution of all systems by presenting their data in an integrated view. 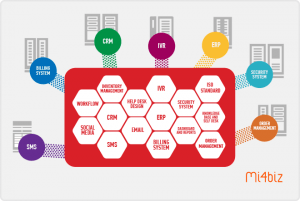 Mi4biz primary concern is the capability to be integrated with any other system, either with developed in-house application or licensed enterprise software. The integration framework is designed for machine-to-machine interactions which are optimizing the day to day business. In many other situations they want to track their issues or just reading the common issues about your products. The quality of your services is greatly improved by offering an office open 24/7 where your customers can contact you and browse FAQ, known errors or resolve their own problems. Mi4biz has all these features: it offers to your customers the opportunity to share the knowledge and perform some operations in complete autonomy. In economic terms: cost reduction (less personnel) and customer satisfaction increase (more revenue). Breaking Down the Walls Between Departments! Artificial intelligence at Banks! Is it an enemy or a friend for productivity?